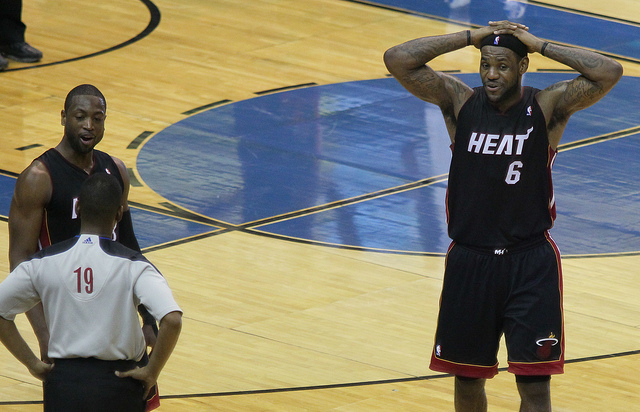 LeBron James was born on December 30, 1984. That makes him 29 years old. While it’s been good fun in recent years to run a thought experiment about how James would fare in, say, the NFL — he’d make a heck of a tight end, some figure, especially since players like Jimmy Graham and Tony Gonzalez played college basketball. And James himself has said he’d like to play in at least one NFL Game before his legacy is written. Not to mention that the idea of the cross-sport athlete has been ingrained in the public consciousness since the days of Bo Jackson, Danny Ainge, and Deion Sanders, but the fact is now he may simply be too old. Of course, there’s no way an NFL front office doesn’t take a hard look at the marketing and attention that would come with signing LeBron to the team (especially if the team is somewhat local to Miami like, say, the Dolphins), because it can’t feasibly turn out any worse for your team than signing someone like Tim Tebow. Turns out, though, that if LeBron did wind up throwing on an NFL helmet, they’d probably have to bring him a walker and a stack of “back in my day” themed apparel — James is already older than nearly 80 percent of the National Football League. Reuben Fischer-Baum and the fine folks over at Deadspin crafted a tool they’ve helpfully/terribly titled “How Many Pro Athletes Are Younger Than You.” Instead of bumming around all depressed because we’ll be forced to acknowledge our own mortality and fading dreams of sports superstardom, we decided to check out how the last two MVPs from each of the Big Four of American Sports (the NFL, the NBA, the NHL and the MLB) compared to their peers and fellow professional athletes. Finishing up the details on LeBron: He’s older than 79.9 percent of the NFL, 69.8 percent of his fellow NBA players, 67.9 percent of the guys in the NHL, and 57.8 percent of the MLB. Because baseball really is less demanding on an athlete than any of the other big four sports. The interesting thing about the NBA and this post, though, is that LeBron’s won the MVP award four out of the last five times (at least, until Durant gets the nod for 2014). Derrick Rose famously became the youngest player to win the NBA when he snagged it in 2011 three years ago, so we’ve used both of Rose’s ages below. If he was still the same age as he was during his MVP season (age 22), Rose would be older than 1.5 percent of the NFL, 8.5 percent of the NBA, 13.7 percent of the NHL, and exactly 1 percent of the MLB. Now, at the wizened age of 25, the point guard’s numbers have climbed a staggering amount — he’s now older than 41 percent of the NFL, over a third of his peers (36.8 percent), 38.9 percent of the ice skating contingent, and almost 20 percent of the MLB. The two most recent NFL MVPs are Peyton Manning and Adrian Peterson. 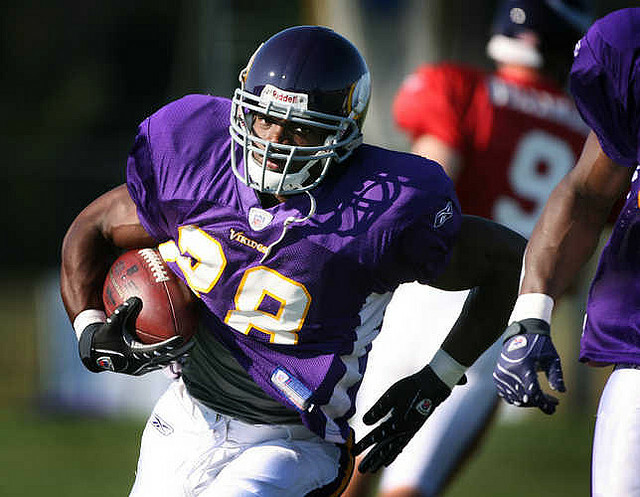 Peterson, who won in 2012, was the first running back to win the award since LaDainian Tomlinson in 2006 and also won it after being sidelined with a torn ACL at the end of the 2011 season. That is, needless to say, really impressive. Manning, on the other hand, is almost a dictionary definition of “elder NFL statesman” for the league — at 38 years old, he’s not the oldest to play the game at this level, but he’s definitely getting up there. Manning, born in March of 1976, or when Gerald Ford was president, cleans up, as one may expect. He predates almost all of his co-workers in the NFL (99.5 percent), 98.9 percent of the NBA, 98.2 percent of the NHL, and he’s even old for the (comparatively) geriatric MLB, outpacing 97.4 percent of the baseball players. Peterson, who is almost a decade younger than Manning (March of 1985), fares better — even though he’s still over the halfway mark for each of the sports. All-Day posted an age that was above 56.7 percent of the MLB, and it only went downhill from there. Peterson rings in at older than 65.7 percent of NHL players, 67.9 percent of the NBA, and 78.3 percent of the NFL. Soon the league’s best running back might be one of the oldest still in the league. 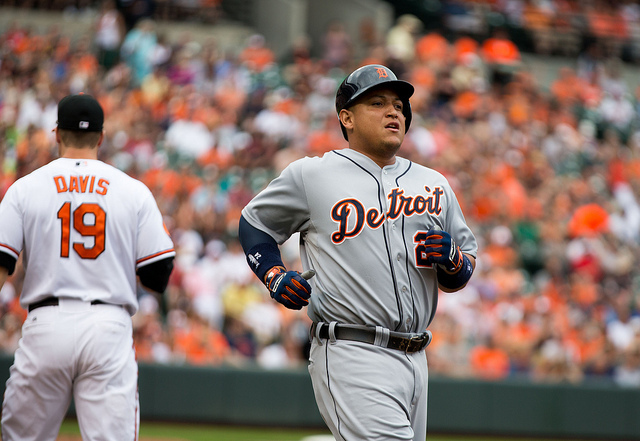 Miguel Cabrera, the first baseman for the Detroit Tigers, has won back-to-back MVPs for his participation in the American League’s Detroit Tigers. His 2012 NL counterpart — the MLB does a separate MVP vote for each league — was Andrew McCutchen of the Pittsburgh Pirates. The Baseball Writers Association has been responsible for voting in the MVPs since the 1930s. Cabrera, a 31-year-old who was born in April 1983, cracks the 70th percentile in each of the sports, finishing above 89 percent of the NFL, 78.7 percent of the NBA, 78.8 percent of the NHL, and 73 percent of his contemporaries. McCutchen, just 27 (October 1986), fares considerably better. While he still tops out over 65 percent of the NFL, he’s only older than 39 percent of his teammates and co-competitors in the MLB. McCutchen ends up right in the prime age for the NBA and the NHL, scoring 55.1 percent and 54.8 percent respectively. The last two recipients of the Hart Memorial Trophy, Washington Capitals sometimes-star Alex Ovechkin and Pittsburgh Penguin Evgeni Malkin, who are 28 and 27, respectively, go a long way towards illustrating the sweet spot of professional sports despite the fact that they’re almost the same age. Ovechkin is older than 73.7 percent of the NFL, 63.8 percent of the NBA, 61.4 percent of his peers, and just over half of the MLB (50.1 percent). Malkin, meanwhile, is only older than 42.5 percent of the MLB, 56.3 percent of the NHL, 56.7 percent of the NBA, and 67 percent of the NFL. To use the Deadspin tool directly, check it out here.